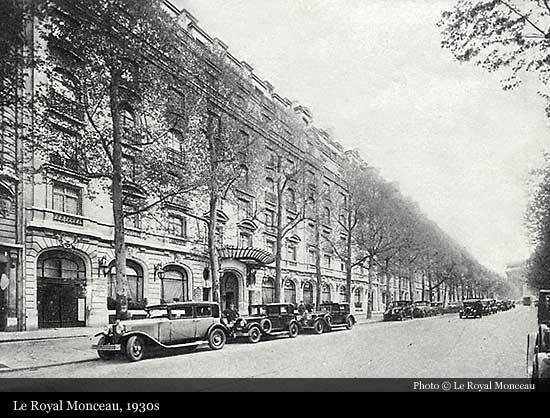 Founded by Pierre Bermond and André Junot, Le Royal Monceau opened its doors on August 1st, 1928. 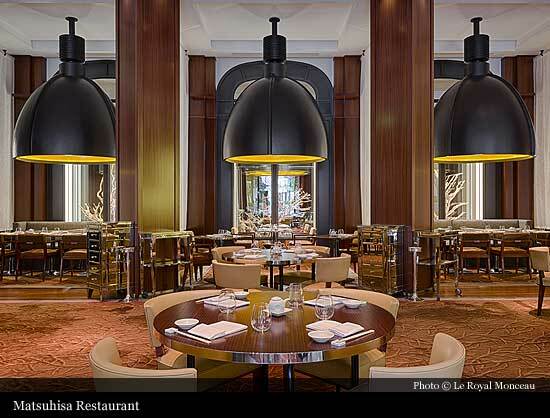 It was designed by architect Louis Duhayon who, along with his associates Charles Lefebvre and Marcel Julien, also created Les Arcades du Lido on the Champs-Élysées. 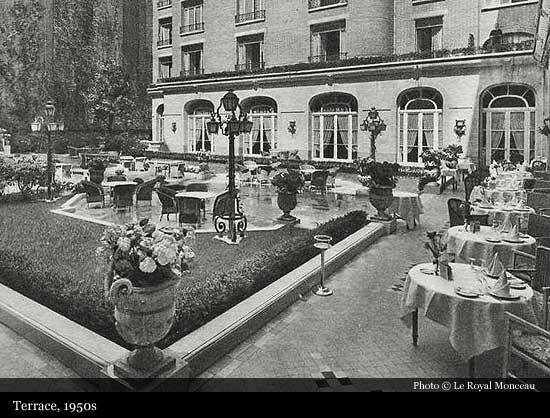 As soon as it was opened in 1928, the Royal Monceau hotel became a rendez-vous of choice for artists and intellectuals. Its worldwide clientele appreciated its gardens, its spacious bar, its gaming rooms for bridge, table tennis, billiards, barbershop... Everything had been thought out to provide luxury, calm and modernity: its 265 rooms, its Appartement Royal and its suites contained the most recent appliances, while the service was attentive and discreet and its restaurant became a gastronomic delight. 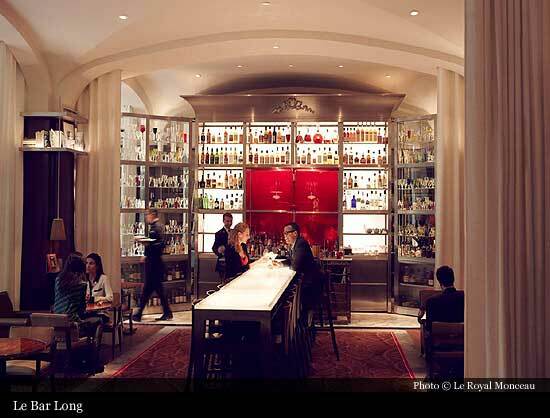 As for the private salons, they were to witness historic events, beginning with the social and economic hum at the start of the 3rd French Republic. That players on the political scene would run into Josephine Baker, else Maurice Chevalier, Ernest Hemingway or Mistinguett. 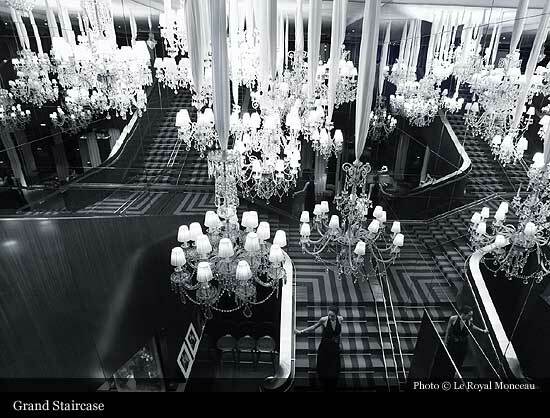 It was an era of exuberance, glamour and liberty. 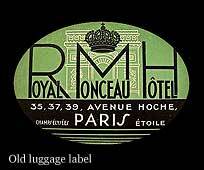 Having been requisitioned during the Second World War, the Royal Monceau hotel regained its independence in 1945 – in particular, it entertained General Eisenhower, Field Marshal Montgomery and the allied high command – before resuming its activities the following year. In 1947, Ho Chi Minh spent seven weeks there during the Fontainebleau Conference, which was to determine the future of Franco-Vietnamese relations. In May 1948, David Ben Gourion and Golda Meir signed the birth certificate of the State of Israel on its premises. Prestigious guests came, returned and met up: Joseph Kessel, Walt Disney, the Maharajahs of Indore and Kashmir, King Farouk of Egypt, the Aga Khan... In their footsteps would later come Michael Jackson, Madonna, Robert de Niro, Lou Reed and Sofia Coppola. 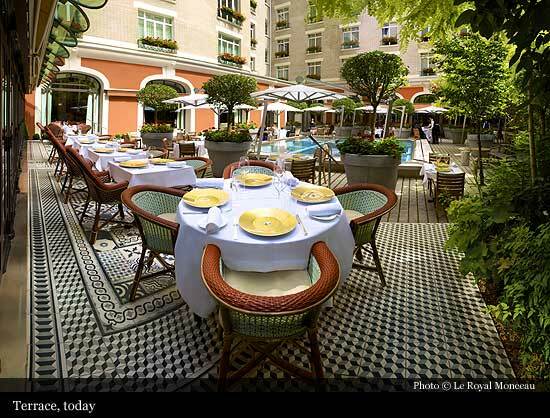 Over the years, while remaining a rendezvous for Parisians and a select address for travellers from all over the world, the Royal Monceau hotel started to slumber. 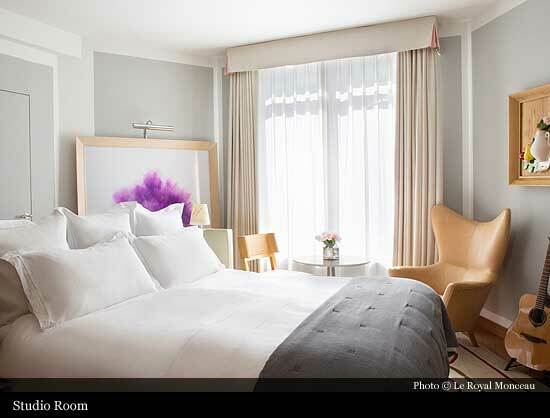 In October 2010, after two years of renovation the hotel reopened, entirely transformed by French designer Philippe Starck. 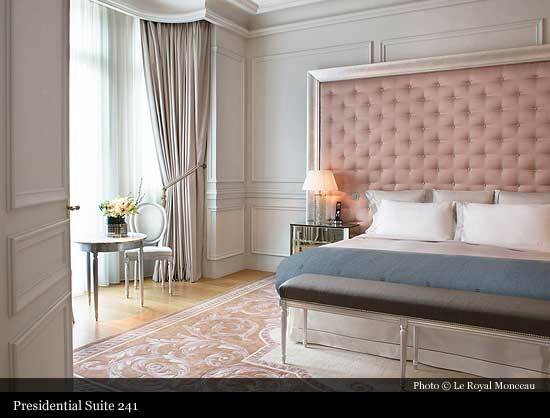 Le Royal Monceau – Raffles Paris, European flagship of Raffles Hotels & Resorts, begins a new era in its history. 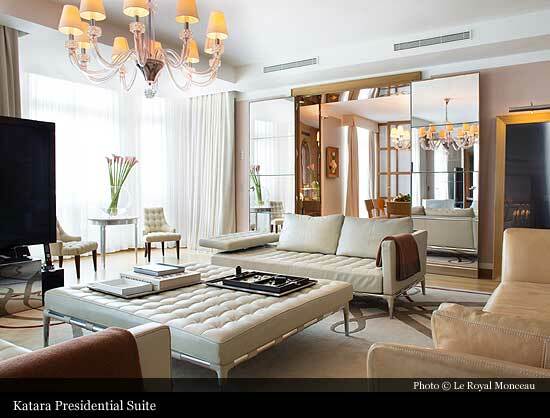 Today, the hotel has 149 luxurious rooms, including 3 Presidential Suites. Suite 714 where Ray Charles once lived, now bears his name and contains photographs by Arlette Kotchounian who wrote The Sun Died essentially for him. 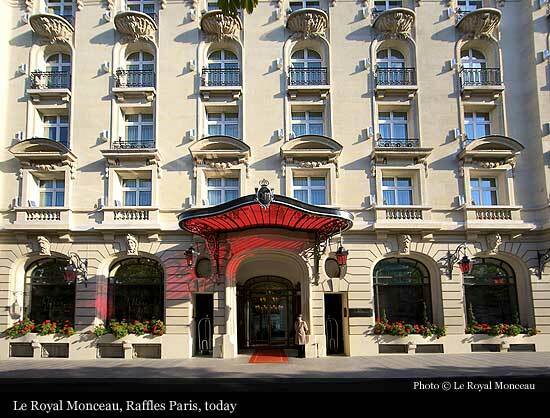 When it reopened in 2010, the Royal Monceau – Raffles Paris developed an elaborate cultural policy, offering customers a range of cultural options including an art bookstore dedicated to contemporary art, a modern cinema, a contemporary art gallery, a private collection of over 300 works of art and a cultural service run by Arts Concierges. 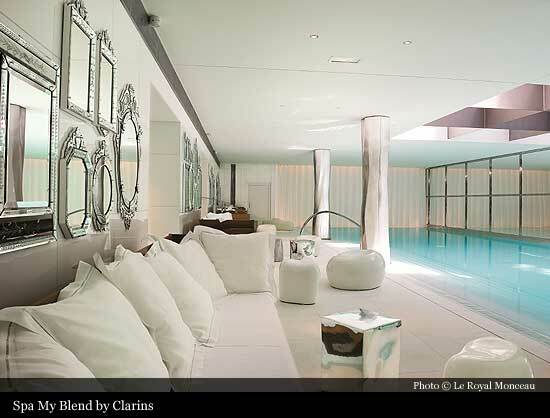 The artistic program of the hotel is multidisciplinary, multimedia and intergenerational.